Alice Edmonstone, the youngest of the nine children (eight daughters and one son) of William Edmonstone (1810–1888) and his wife, Mary Parsons, was born on 29th April 1868. Her father was superintendent of Woolwich Dockyard. Alice married George Keppel (1865–1947), third son of William Coutts Keppel, seventh earl of Albemarle, on 1st June, 1891. She gave birth to Violet on 6th June, 1894. It was later established that her real father was Ernest William Beckett (1856–1917), the Conservative MP for Whitby. 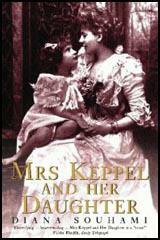 In 1898 the twenty-nine-year-old Alice Keppel met the fifty-six-year-old Albert Edward, prince of Wales. Soon afterwards she became his mistress. As her biographer, Theo Aronson, has pointed out: "His accession to the throne in 1901 as King Edward VII in no way diminished her role; not only did she maintain her position as maîtresse en titre but she became one of the leading personalities of the Edwardian court... Throughout the ten years of Edward VII's reign, Mrs Keppel, as she was generally known, was an accepted, respected, and highly visible member of the royal entourage.... Her ability to keep the notoriously impatient monarch amused was greatly appreciated in royal and government circles." 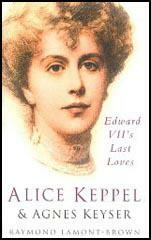 When Edward VII lay dying in May 1910 asked to see Alice Keppel. When Queen Alexandra discovered her in his bedroom, she was ordered to leave. Alice responded by shrieking, "I never did any harm, there was nothing wrong between us. What is to become of me?" According to Reginald Brett, 2nd Viscount Esher, she created an embarrassing scene that he described as "a painful and rather theatrical exhibition". During the First World War, Alice Keppel divided her time between entertaining in her London home, at 16 Grosvenor Street, and staying in various country houses. She also helped her friend Lady Sarah Wilson run a hospital for wounded soldiers in Boulogne. In March 1919 Violet Trefusis wrote to Vita Sackville-West to explain that she was being forced to marry Denys Robert Trefusis, an officer in the Royal Horse Guards: "It is really wicked and horrible. I am losing every atom of self-respect I ever possessed. I hate myself.... I want you every second and every hour of the day, yet I am being slowly and inexorably tied to somebody else... Sometimes I am flooded by an agony of physical longing for you... a craving for your nearness and your touch. At other times I feel I should be quite content if I could only hear the sound of your voice. I try so hard to imagine your lips on mine. Never was there such a pitiful imagining.... Darling, whatever it may cost us, my mother won't be cross with you any more. I suppose this ridiculous engagement will set her mind at rest." Violet gave in to pressure from her mother and agreed to marry Trefusis on 16th June 1919. She did so on the understanding that the marriage would remain unconsummated, and she was still resolved to live with Vita Sackville-West. They resumed their affair just a few days after the wedding. The women moved to France in February 1920. However, Harold Nicholson followed them and eventually persuaded his wife to return to the family home. Alice remained married to George Keppel and in the 1920s they sold their London house and bought the Villa dell'Ombrellino in Florence. During the Second World War the Keppels established themselves at the Ritz Hotel. 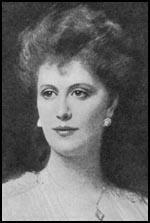 Alice Keppel died of liver disease on 11th September 1947.